Chris Cuomo Confronts Giuliani for Changing Comments on Trump-Comey Meeting: So Comey’s a ‘Crazy Liar’? CNN’s Chris Cuomo spoke with Rudy Giuliani tonight to again try and make sense of the latest flip-flop from President Donald Trump‘s lawyer. Giuliani denied to Tapper that he ever said Trump told James Comey to give Michael Flynn a break. Minutes later Tapper showed him the video of him directly saying that. 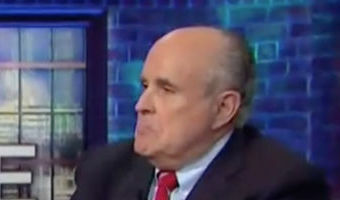 After talking about Omarosa, Cuomo told Giuliani tonight, “I cannot find you ever saying the president did not have that conversation with Comey until this weekend.” Giuliani insisted he did so from the beginning, and Cuomo asked, “Why do you keep arguing in the alternative if you have high ground that it never happened?” “Because I can get him out of it legally,” Giuliani responded. “I can get him out of it factually. 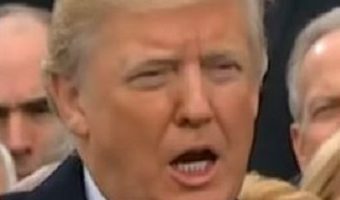 He’s got both defenses.” For this to be true, Cuomo pointed out, Comey would have to be a “crazy liar.” Giuliani said he is one. He went on to argue that if Comey felt “he was being … [Read more...] about Chris Cuomo Confronts Giuliani for Changing Comments on Trump-Comey Meeting: So Comey’s a ‘Crazy Liar’?